Meghan already posted a list of books that she has on her fall to read list. While I went through that list with lots of "Yep, yep, check, ooh I need that," of course, there are even more books that I'm looking forward to. Note: Due to the continuing Hachette-Amazon negotiations, pre-order links are not available on Amazon for all of the books. Once those books are released, you should be able to get them on amazon. However, I listed lots of other booksellers who would be oh so happy to reserve a copy for you. Blurb: "Years ago, the city of Bulikov wielded the powers of the Gods to conquer the world. But after its divine protectors were mysteriously killed, the conqueror has become the conquered; the city's proud history has been erased and censored, progress has left it behind, and it is just another colonial outpost of the world's new geopolitical power. Into this musty, backward city steps Shara Divani. Officially, the quiet mousy woman is just another lowly diplomat sent by Bulikov's oppressors. Unofficially, Shara is one of her country's most accomplished spymasters-dispatched to investigate the brutal murder of a seemingly harmless historian. As Shara pursues the mystery through the ever-shifting physical and political geography of the city, she begins to suspect that the beings who once protected Bulikov may not be as dead as they seem-and that her own abilities might be touched by the divine as well." 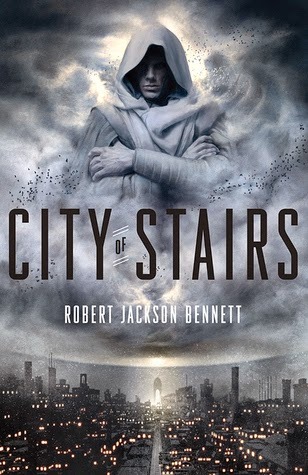 Gods, magic, spies, I so want to read this. Blurb: "Jessica is going to Hell. After settling a fragile truce between the vampires, werewolves and witches, the last thing Jessica wants to do is face the demons head on. But when the Prince of Hell kidnapped her brother, he set into motion a chain of events that even Jessica doesn't have the power to stop. Now, Jessica must go into battle again. But Hell is a whole new beast — new rules, more dangerous demons, and an entirely foreign realm. And when Jessica is dropped into the Underworld too soon, without protection or the help of her friends, she must figure out just how powerful she can be... or she will never make it out alive." 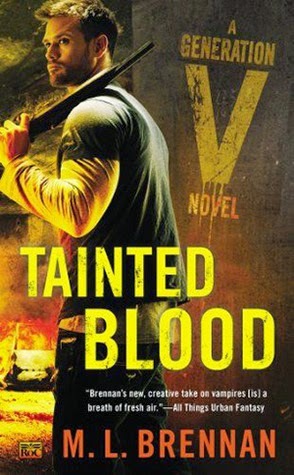 Expecting loads of action and further complications with supernatural politics. Also, hell. Always a draw for me. Newly arrived in New Fiddleham, New England, 1892, and in need of a job, Abigail Rook meets R. F. Jackaby, an investigator of the unexplained with a keen eye for the extraordinary--including the ability to see supernatural beings. Abigail has a gift for noticing ordinary but important details, which makes her perfect for the position of Jackaby’s assistant. On her first day, Abigail finds herself in the midst of a thrilling case: A serial killer is on the loose. 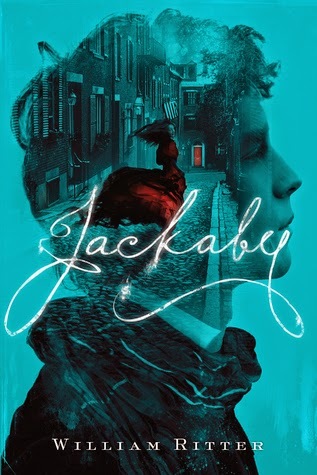 The police are convinced it’s an ordinary villain, but Jackaby is certain it’s a nonhuman creature, whose existence the police--with the exception of a handsome young detective named Charlie Cane--deny." A supernatural Sherlock? I was already in, then Jessie gave it a rave review and I'm looking forward to it even more. Find more books after the break. 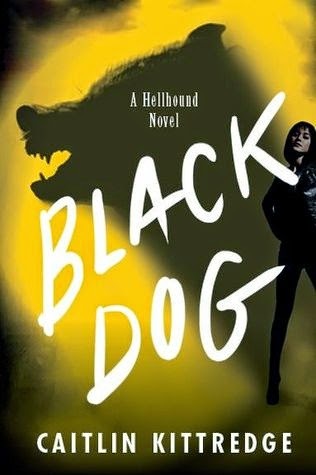 Blurb: "The first installment in a fabulous dark urban fantasy series—think Kill Bill with demons and gangsters instead of martial arts—from the award-winning author of the Iron Codex trilogy and Vertigo comic Coffin Hill. As punishment for her transgression, Lilith orders Ava to track down the last soul in her reaper’s ledger... or die trying. But after a hundred years of servitude, it’s time for payback. 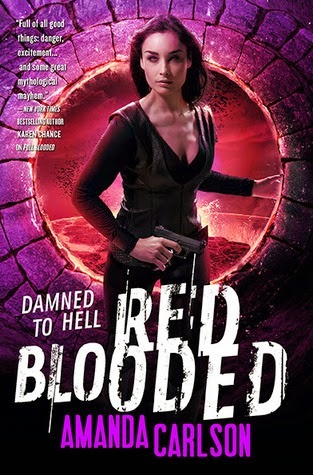 And Hell hath no fury like an avenging Ava..."
Blurb: "Nevada Baylor is faced with the most challenging case of her detective career—a suicide mission to bring in a suspect in a volatile situation. Nevada isn't sure she has the chops. Her quarry is a Prime, the highest rank of magic user, who can set anyone and anything on fire. Rogan's after the same target, so he needs Nevada. But she's getting under his skin, making him care about someone other than himself for a change. And, as Rogan has learned, love can be as perilous as death, especially in the magic world." It's a new Ilona Andrews series, so of course I've had this pre-ordered for months. It's a romance series with what looks to be some phenomenal action and worldbuilding. Can't wait. 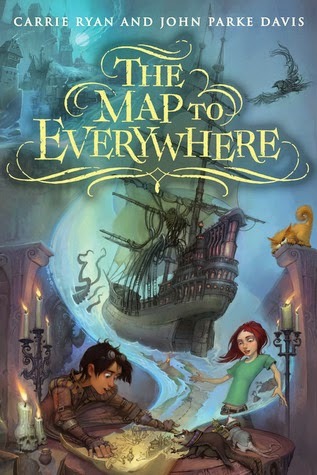 Blurb: "Anything you need—The Map to Everywhere can take you there. To Master Thief Fin, an orphan from the murky pirate world of the Khaznot Quay, the Map is the key to finding his mother. To suburban schoolgirl Marrill, it's her only way home after getting stranded on the Pirate Stream, the magical waterway which connects every world in creation (Apparently she shouldn't have climbed aboard the mysterious pirate ship that sailed out of nowhere and into a dry Arizona parking lot. How was she to know?). With the help of a bumbling wizard and his crew, they must scour the many worlds of the Pirate Stream to gather the pieces of the Map to Everywhere, but they aren't the only ones looking. A dark and sinister figure is hot on their tail, and if they can't beat his ghostly ship to find the Map, it could mean the destruction of everything they hold dear-not least of all themselves! In Carrie Ryan and John Parke Davis' first installment of a fantastical new series, adventure, magic, and hilarity collide in the treacherous skies and dangerous waters of the Pirate Stream. Heart-pounding escapades and a colorful cast of characters will have readers setting sail through this wholly original and unforgettable tale." This one looks fun for the whole family. 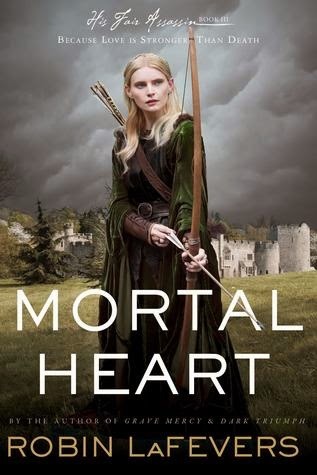 Blurb: "In the powerful conclusion to Robin LaFever's New York Times bestselling His Fair Assassins trilogy, Annith has watched her gifted sisters at the convent come and go, carrying out their dark dealings in the name of St. Mortain, patiently awaiting her own turn to serve Death. But her worst fears are realized when she discovers she is being groomed by the abbess as a Seeress, to be forever sequestered in the rock and stone womb of the convent. Feeling sorely betrayed, Annith decides to strike out on her own. She has spent her whole life training to be an assassin. Just because the convent has changed its mind, doesn’t mean she has." Assassin nuns who are the daughters of the god of Death. Do I really need to say more? I've been eagerly awaiting the conclusion to this YA trilogy and now it's almost here! But as he calls on fairies, witches, and ghouls for help, he discovers that the problem is much bigger than a single dead werebear. The supernatural community is preparing for a massive shift in power within the Scott family leadership—and Fort has landed right in the middle of the gathering storm." This is one of my favorite new UF series and is an auto-buy. To say I've been waiting for book 3 is an understatement. I know the stakes will be rising for my favorite reluctant vampire and I know that Brennan will throw all kinds of hazards his way. I adore Sophronia and can't wait for her further adventures. 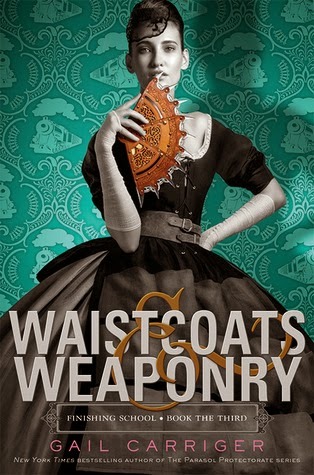 I love the cover too and must have it in hardback so that it might adorn my shelves.